With the fast development of microwave oven, the stage stamping dies can not meet the requirement of production. So, we improve the technology, apply progressive die to produce the microwave oven u-section. Many years to exported dies and moulds. Welcome you send us samples or drawings to inquiry. We will quote you the best price with high quality on time. Before delivery the stamping die, we can paint it with the color you prefer. The cover or outer case of the microwave oven is usually a one-piece, wrap-around metal enclosure. The oven's inside panels and doors are made of galvanized or stainless steel and are given a coating of acrylic enamel, usually light in color to offer good visibility. 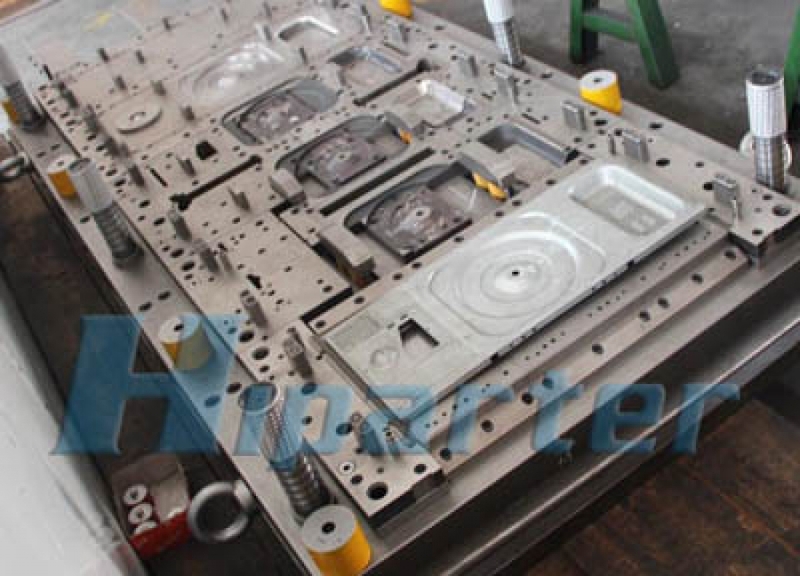 China microwave oven stamping die, choose Hiparter! Hiparter, Your Smart Choice!